This is a sponsored post with Milo’s, all opinions are my own. Thanksgiving is such a wonderful holiday. I love the idea of gathering with family and friends around the table to celebrate everything that’s good in life. 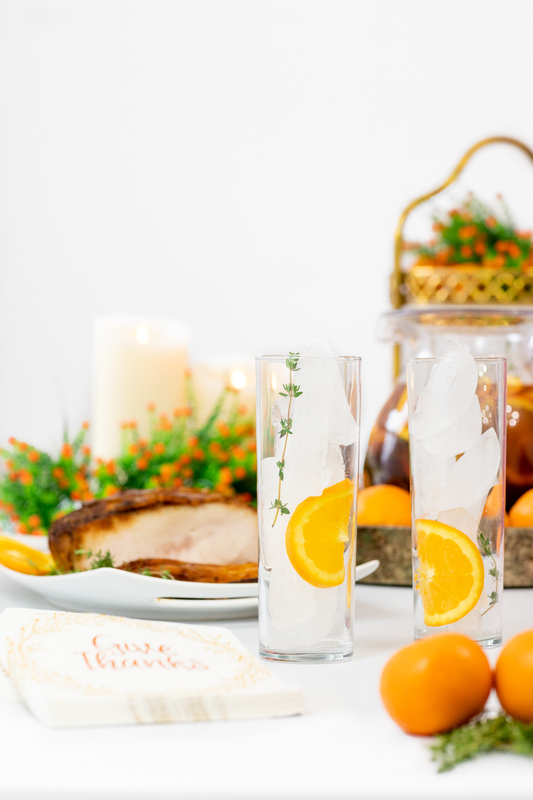 I have a fun and aromatic drink idea to serve up with your delicious spread this year. 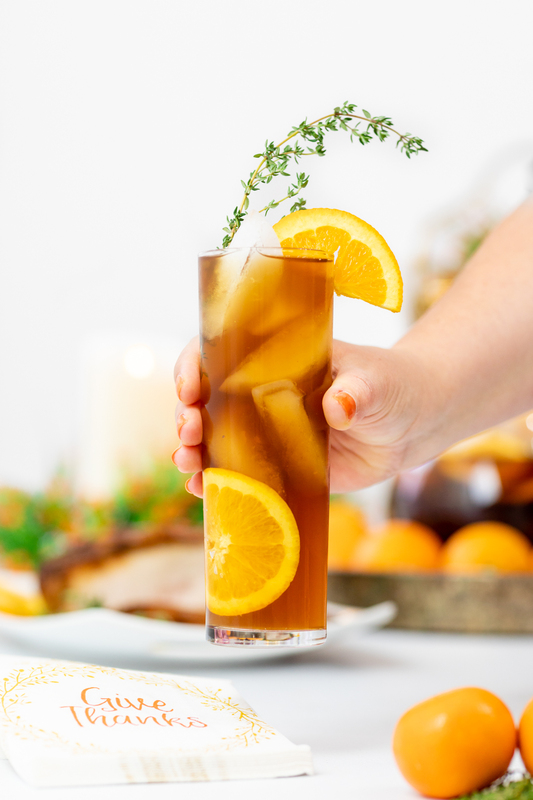 My Orange & Thyme Iced Tea featuring Milo’s award-winning tea is perfect for savoring every moment over your holiday dinner. 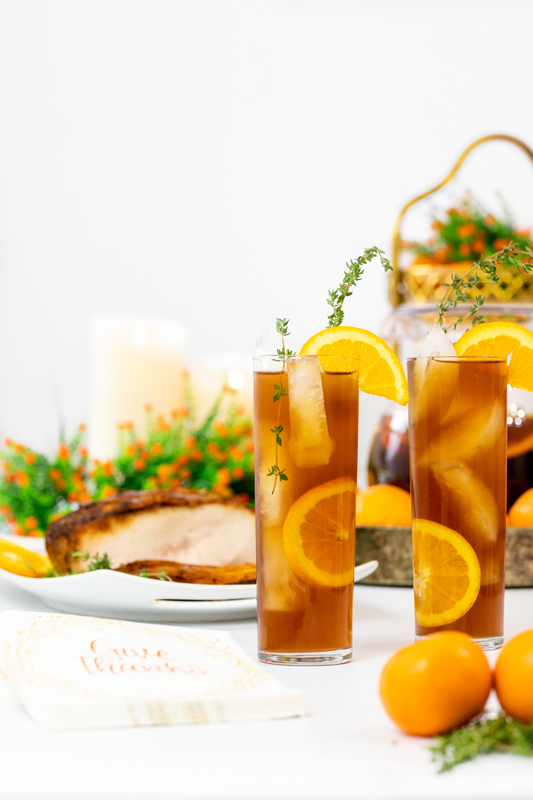 Iced Tea is pretty much the perfect Thanksgiving beverage. Add a seasonal twist to it and you just can’t go wrong. I wanted to create something that would compliment a Thanksgiving spread with it’s flavor but also it’s look. 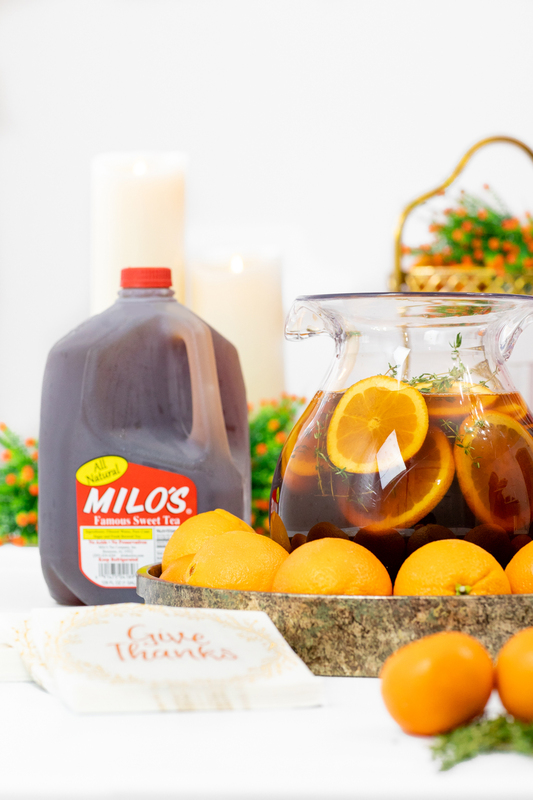 I love creating the feeling of abundance and beauty at my holiday table and Milo’s Famous Sweet Iced Tea combined with orange and thyme is the perfect fit. Their teas are freshly brewed from real tea leaves, it’s all natural and contain no preservatives or added acids. Matter of fact all of the ingredients are clean! 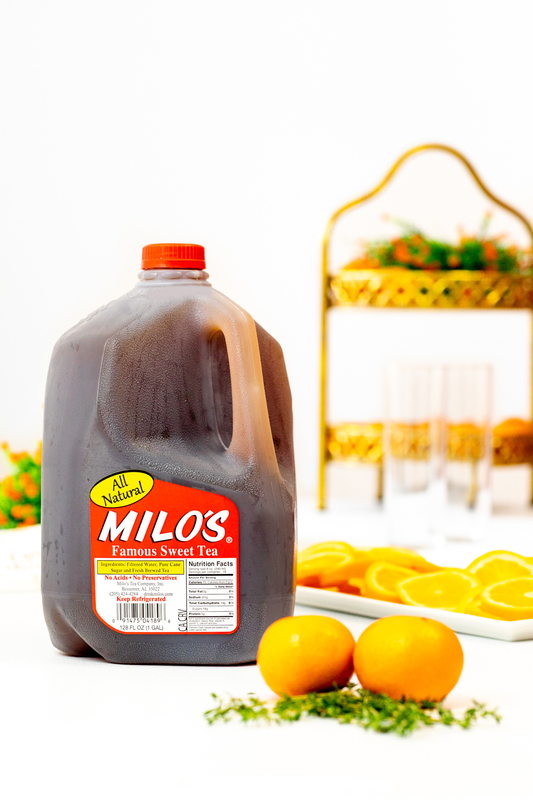 Milo’s Tea is available sweetened with pure cane sugar, no calorie sweetened with sucrose or unsweet. 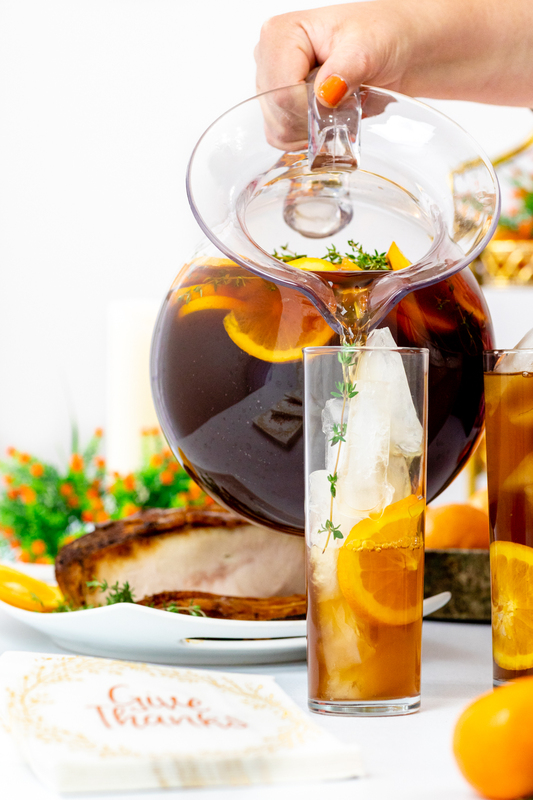 Relying on their delicious tea makes this festive twist so easy to make. There is literally no fuss involved at all. You’ll have more time to enjoy your company. So, let’s make it! 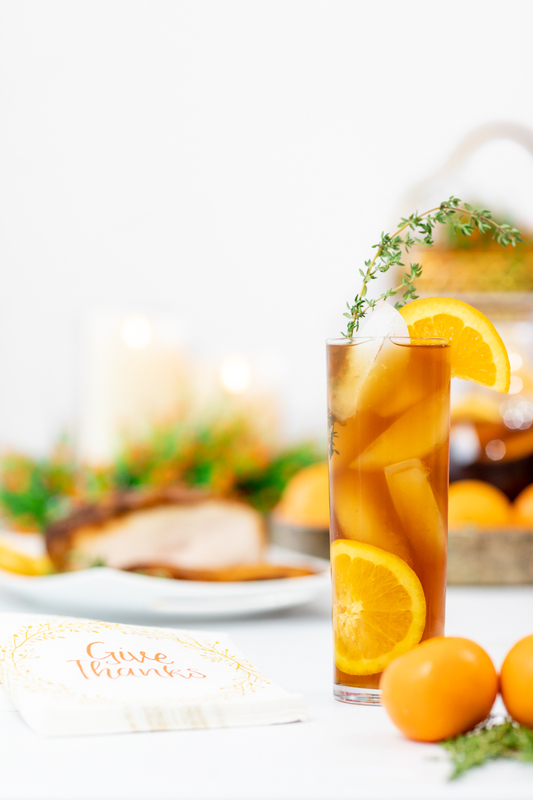 This yummy Thanksgiving iced tea is very fragrant and feels like a true experience to savor more than just a quick drink. 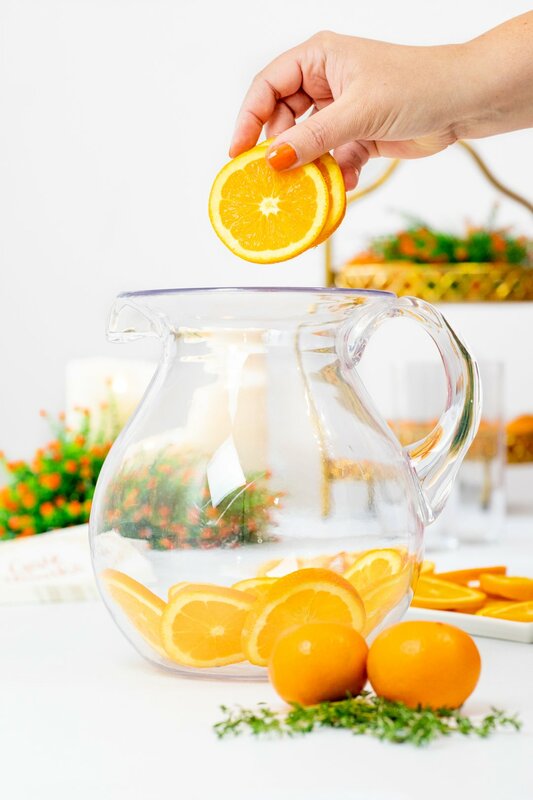 Start putting your custom iced tea together by adding a gorgeous pop of orange color by adding four sliced oranges to a pitcher. Then, add a pinch of fresh thyme to the pitcher as well. 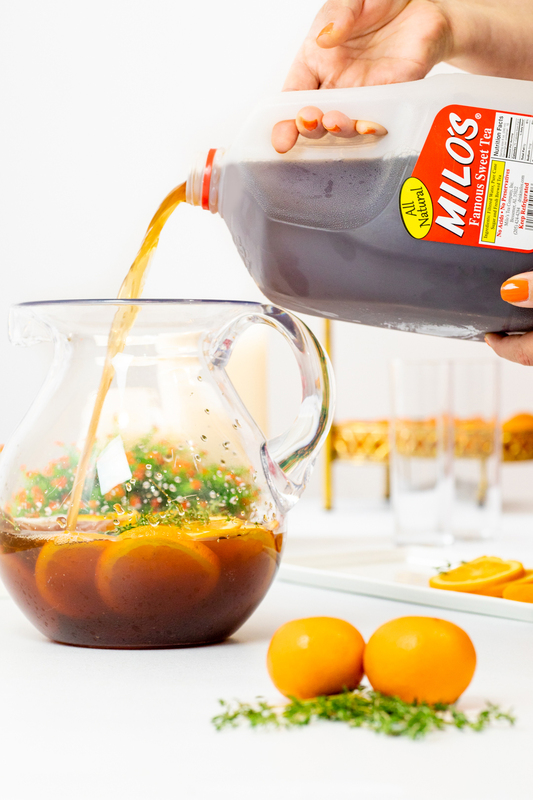 Pour a gallon of Milo’s Sweet Ice Tea over your ingredients and you are go to go. Prepare at least an hour in advance and let sit in the refrigerator for the flavors to pop. This iced tea isn’t overpowering, it’s quite subtle. 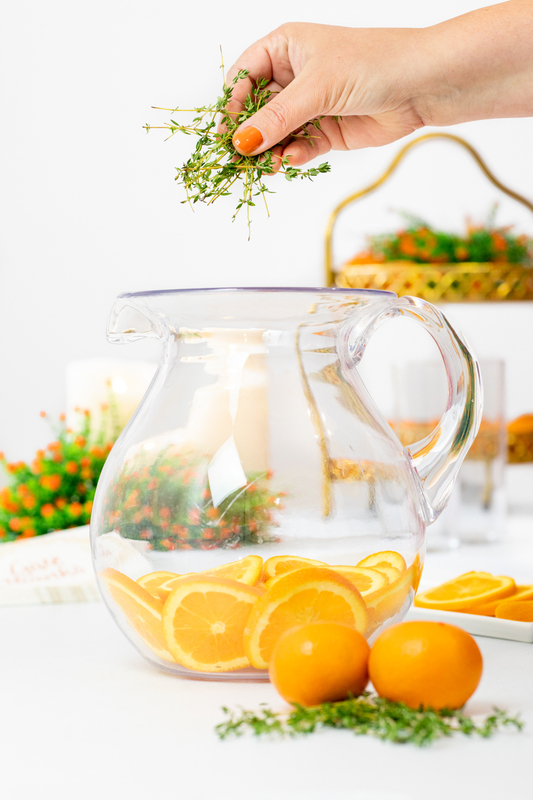 The scent of orange and thyme are so lovely and enticing. To serve, break out your tall and pretty glasses. Add ice and more orange slices and fresh thyme for garnish. The more the merrier, if you ask me. Then pour the tea right up to the tippy top! Add a slice or orange or two and some more fresh thyme on top. And just like that, your Thanksgiving meal is complete! 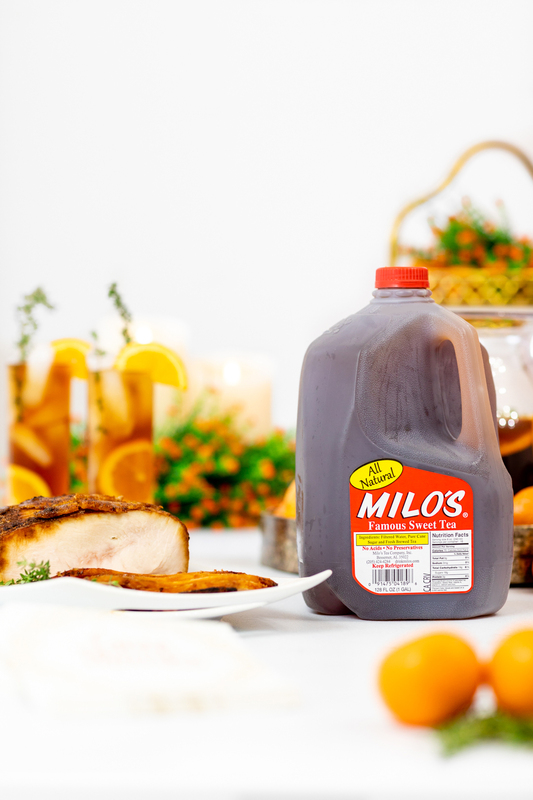 Add Milo’s to your holiday shopping list! Find in the refrigerated juice section at your local grocer. Find a local store here.